A simple wooden cross hidden in scrubby farmland near a railway line now marks the grave of Pandita Ramabai. Yet this petite and remarkable Indian woman, of Hindu descent, was one of the greatest social reformers of her time; a linguist who spoke seven languages; a poet, educator, and author; and a staunch champion of the rights of women and girls at a time when females in India were frequently referred to as ‘less than dogs’. Pandita was born on 23 April, 1858, into a high caste Hindu family. Her father, a Brahmin priest, advocated for the education of women and girls and, against custom, taught his wife to read. For this he was ostracised by his fellow Hindu scholars. After some time of wandering the country with his wife he established an ‘ashram’ community deep in the forest, and it was here that Pandita was born. By the age of twelve, under her parents’ tutelage, Pandita had memorised thousands of sacred Hindu texts and had mastered the Hindu language well beyond her years. In her teenage years a famine claimed the lives of both her parents and her sister, and Pandita was left with only her brother. They set off for Calcutta where, being of high caste, they were welcomed by the Brahmin priests of the city, who soon discovered Pandita’s remarkable knowledge of the sacred Sanskrit texts. Pandita was given the honourable titles of ‘scholar’ and ‘mistress of wisdom’ and invited to lecture in places of learning. The more Pandita learned of Hinduism the more unsettled she became. When her brother also died she decided to marry a lawyer from a lower caste, an act which horrified her scholarly friends. The couple had a daughter who they named Manorama, but after eighteen months of marriage Pandita’s husband also died of cholera. She found herself a widow at the young age of 23. Pandita began to speak out against the Hindu traditions of child marriage, polygamy, and the burning of widows on their husband’s funeral pyre. At this time in India very young girls were frequently married to men decades older and often found themselves widowed while still little more than children. A widow was expected to live the rest of her life in the ‘women’s quarters’ of households as virtual slaves. Hinduism taught that there was no salvation for people of low caste or for women, unless by doing good they earned reincarnation as high caste Brahmin men. More and more Pandita devoted her time and her efforts to easing the suffering of women and girls, starting women’s reform movements in Bombay (now Mumbai) and Pune and publishing a booklet, “Morals for Women”. The more she challenged patriarchal traditions the more she earned the resentment and criticism of orthodox Indian society. Pandita was soon invited to the United States, where she undertook a speaking tour and was encouraged by many in the emerging women’s emancipation movement. She returned to India with sufficient funding from supporters to establish a residential school called the House of Learning in Bombay. Initially she attempted to run her school making both Hindu and Christian texts available side by side, but when some of her students converted to Christianity there was an outcry and many parents withdrew their children from the school. Pandita established a new centre which she called Mukti (house of salvation). This time she ran the centre as openly Christian and its purpose was to be a refuge and educational centre for all girls and women in need, regardless of background. It was soon filled with child widows, orphans and other desperate women and girls. The Mukti Mission Centre not only provided housing – it included a kindergarten, schools, weaving looms, printing presses, sewing and handcrafts, a flourmill, laundry, oil press, farm and orchard. 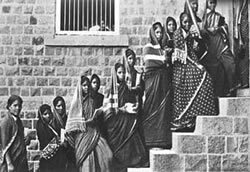 Mukti was a functional Christian community where women were trained and empowered to take their place as contributing, independent members of Indian society. On a personal level, Pandita continued to study the Bible and read many Christian books and biographies, endeavoring to follow Christ at an intellectual level until, after reading a book called “From Death Unto Life” she made a life-changing discovery. In her own words: “Although I was quite contented with my newly-found religion, so far as I understood it, still I was labouring under great intellectual difficulties, and my heart longed for something better. I came to know after eight years from the time of my baptism that I had found the Christian religion, which was good enough for me; but I had not found Christ, Who is the Life of the religion and ‘the Light of every man that cometh into the world.” Thus Pandita was born again into a living relationship with Jesus Christ. Pandita strongly believed that Christian women sharing the gospel from village to village were a key component to the transforming of India. She spent the last twelve years of her life translating the Bible from Hebrew and Greek into the Marathi language spoken by the people of Maharashtra. She had hoped her daughter Manorama, who supported her in everything, would carry on her work. However, Manorama died in July 1921 and Pandita, having only just completed her translation, died only months later in April 1923 at the age of 64. Pandita’s dream that one day Christian women would take her Bible translation from village to village was fulfilled as girls who had found refuge at Mukti set out across the region to share the good news of the gospel in the Marathi language, with Bibles that had been printed on Mukti printing presses. Pandita Ramabai’s legacy lives on to this day and the Mukti Mission continues to be a place of refuge, nurture and education for the needy girls and women of India. 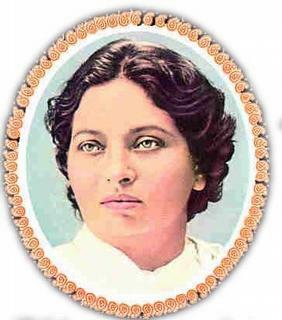 Pandita Ramabai has been called ‘one of the greatest daughters of India’. At Ishshah’s Story, we celebrate the life and legacy of Pandita Ramabai! ← What Women These Christians Have! Ramabai wasn’t a very intelligent lady. All religions including Christianity derogate women. It’s the non religious views of modernism that give women more rights. You can’t hide from problems and accept a fairy tale as truth which is Christianity. It’s not an idea or belief that’s bad. It’s the person who interprets it is responsible for it’s effects. Rahul, thanks for taking to comment. Whether Pandita Ramabai was intelligent is a matter of opinion and is not really relevant to this article. It’s regrettable you think Christianity is a fairytale, but you are entitled to your opinion, as was Pandita Ramabai. It’s true many religions denigrate women. Unfortunately many areas of the Christian church have also denigrated women, which is contrary to the teachings of Jesus Christ. Jesus did not denigrate women but treated them as equal in every way to His male disciples. I hope one day you will come to know Him. Thankyou for dropping by. Wow! My eyes grew bigger and bigger as I read the mini biography of this amazing woman. Thank you for introducing her to us. Yes, she had a very full and interesting life. There’s more that could be shared about her, but limited space here. 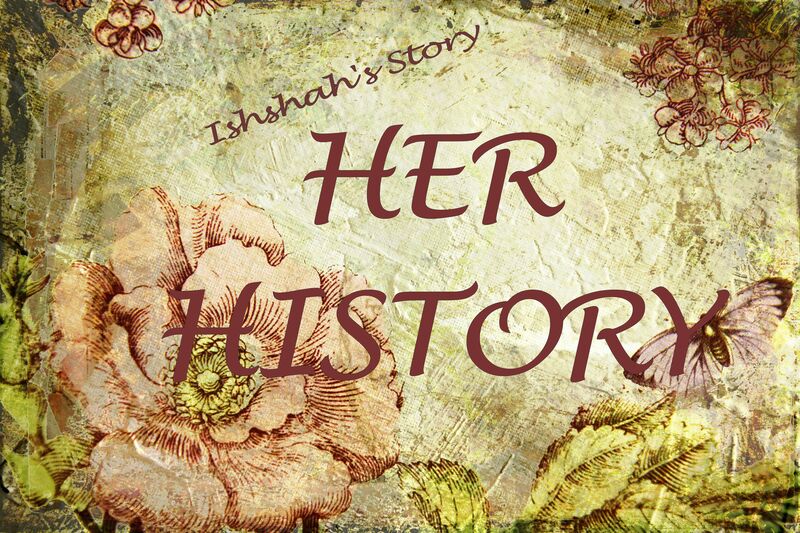 Follow the links for a fuller story of her life. I would like to know more about her conversion.. thanks! There are links at the bottom of the article that you can click on to read more about Pandita. Or simply google her name to find books and other resources. Another fascinating life story! Thank you for sharing these with all of us, Cheryl. Their legacy lives on and encourages us these days in which we live. Such courage; such love and devotion to Christ. As Christian women, we have a rich heritage.